Mumbai: The WARC Awards 2019, an annual international case-study competition in search of the smartest campaigns that best use emerging marketing disciplines, is now open for entries. Organised by WARC, the global authority on advertising and media effectiveness, the WARC Awards are free to enter and are open to submissions from any country and communications discipline. Work can be entered into four categories, each one with its own high-calibre judging panel and set of Special Awards. Effective Content Strategy, which rewards branded content strategies that can demonstrate a business outcome, will be chaired by Namita Mediratta, Global CMI Director, Content Centre of Excellence, Unilever. Namita is responsible for leading a worldwide network of insights professionals and associated partners, tasked with raising the bar on content creation at Unilever. Effective Social Strategy, a search for the most effective campaigns that link social strategy to business success, will be chaired by Christine Xu, Vice President, Chief Marketing Officer, McDonald’s China, the first person from mainland China to hold this position in the history of McDonald’s China.The fast food retailer netted the Grand Prix in this category earlier this year through a campaign via BBDO China that supported young people during Chinese exam season. The Effective Use of Brand Purpose category is for marketing initiatives that have successfully embraced a brand purpose and achieved commercial success as well as a benefit for a wider community. This category will be chaired by Fernando Machado, Global CMO, Burger King, whose focus is infusing the brand with purpose, modernising the design, and inspiring the organisation around brand development. Effective Innovation recognises innovative thinking that has transformed a business or disrupted category conventions to deliver tangible results. Dan Burdett, Chief Marketing Innovation Officer EMEA, eBay has been appointed jury chair. Dan is a FMCG and direct-to-consumer senior leader with marketing, commercial and general management experience. 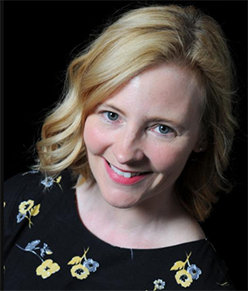 Lucy Aitken, Managing Editor, Case Studies, WARC, comments: “In an industry under disruption, winning a WARC Award signifies innovative marketing techniques and business results. There is a $40,000 prize fund for the winning papers, spread across the four categories. The top entries will be awarded Gold, Silver and Bronze awards. The Grand Prix for the best overall paper in each category will receive $7,000 and three Special Awards in each category, recognising specific areas of excellence, will be presented with $1,000.